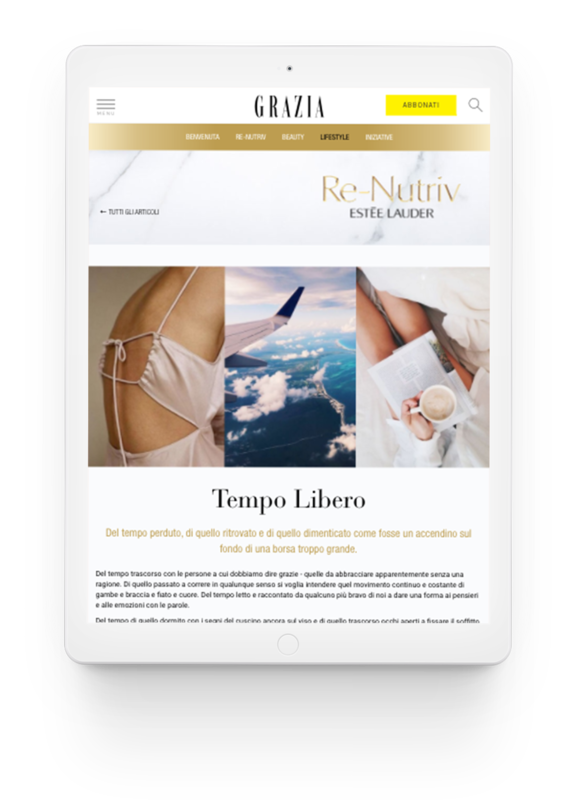 After promoting La Mer on Grazia’s network I got the job to create this project for Estée Lauder in occasion for the launch of the new Re-Nutriv product in Italy. 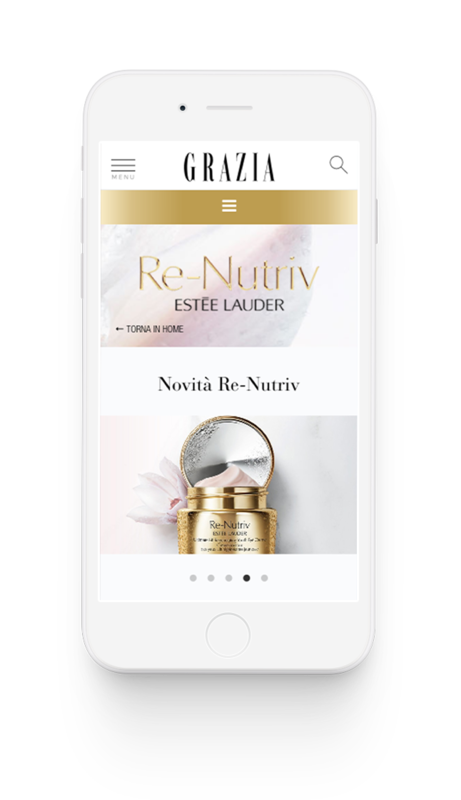 The website features responsive design with emotional showcase of the products, an historic timeline and weekly articles to keep users engaged. 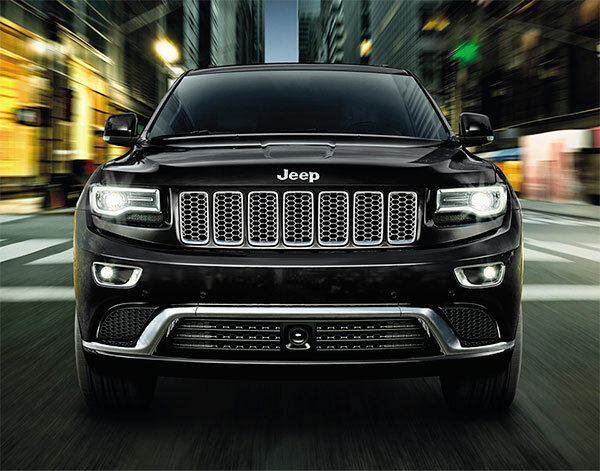 The technologies involved are HTML5, CSS3 and PHP for a small backend.